There’s more laughs, chases and races when everyone’s favorite cat and mouse duo storm back on the scene in The Tom and Jerry Show Season 1 Part 2: Funny Side Up, available on DVD January 13, 2015 from Warner Bros. Home Entertainment (WBHE). The Tom and Jerry Show, which premiered number one in its time slot on basic cable in April,* brings the legendary antics of Tom and Jerry to an all-new animated TV series. 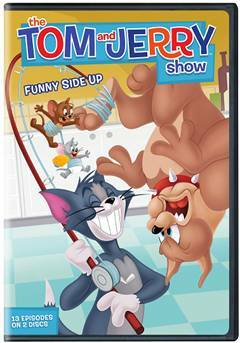 The Tom and Jerry Show Season 1 Part 2: Funny Side Up is comprised of 13 episodes and will retail for $19.97 SRP. The timeless adventures of Tom and Jerry are back in a brand-new TV show the whole family can enjoy! The Tom and Jerry Show Season 1 Part 2: Funny Side Up features 13 exciting escapades featuring Tom and Jerry and their favorite pals, including Spike and Tuffy. The pursuit takes off as Tom, Jerry and the gang fly through unfriendly skies in Just Plane Nuts. Detectives Tom and Jerry are on the case to find Spike’s missing dog bones in Bone Dry. Love is in the air when a mad scientist transports Tom and Jerry to Paris to meet a girl cat and a girl mouse in Molecular Break Up. Jerry and Tuffy cause havoc on a luxury cruise liner in Cruisin’ for a Bruisin’. These and several other hilarious episodes are featured in this entertaining set. I have reviewed a bunch of Tom And Jerry cartoons dvds in the past few years and I have been a fan since I was a child so I couldn't pass up the chance to review The Tom and Jerry Show Season 1 Part 2: Funny Side Up. Surprisingly enough this cartoon is just as good as all the others I have seen in the pass. I think this one is probably even better than the ones I watched when I was a child. 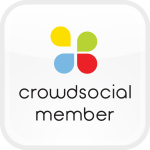 It is very entertaining and it is something the entire family can watch together and not be bored. It is very well done. You can purchase The Tom and Jerry Show Season 1 Part 2: Funny Side Up online or in stores near your.